The universal human experience of death and mourning is accompanied in Jewish tradition by a detailed array of ritual observance. 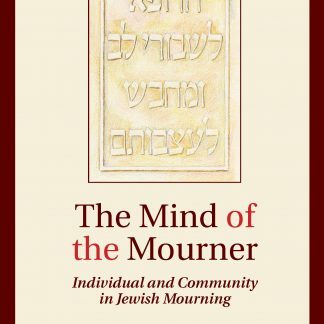 The Mind of the Mourner analyzes this ritual framework, exploring how it was constructed to reflect the values and importance of the community and at the same time to address the emotional and psychological needs of the individual mourner with understanding, sensitivity and compassion. From the introduction:Mourning—the ritualized expression of grief—is a basic element of all societies, since a confrontation with death is a natural component of all human existence. Despite the universal aspects of this human experience, each society shapes the contours of its response in accordance with its own philosophical commitments and principles. Indeed, in many ways the mourning rituals express these societal standards as they concomitantly shape the community’s response to death. 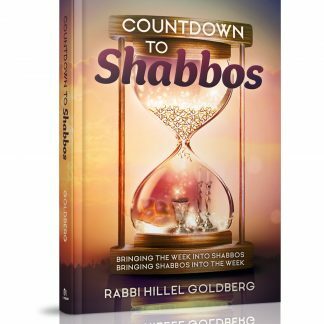 In the traditional Jewish community, mourning rituals are part of the general corpus of Halakhah, which is the system of law and religious practice that governs the everyday life of the committed individual. In this volume we explore these rituals and try to explicate their philosophical underpinnings. 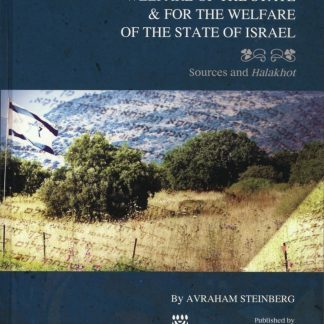 The reader of these pages cannot help but notice the ubiquitous presence of the writings of Rabbi Joseph B. Soloveitchik, and this itself calls for an explanation and disclaimer. Rabbi Soloveitchik (1903–1993) was one of the preeminent Jewish thinkers of the second half of the twentieth century. So overarching was his intellectual presence that he was often referred to simply as ‘‘the Rav,’’ that is, the Rabbi par excellence. He drew from a vast knowledge of Jewish and general traditions and championed the view that it was out of the sources of Halakhah that an understanding of Judaism and its principles was to be developed. 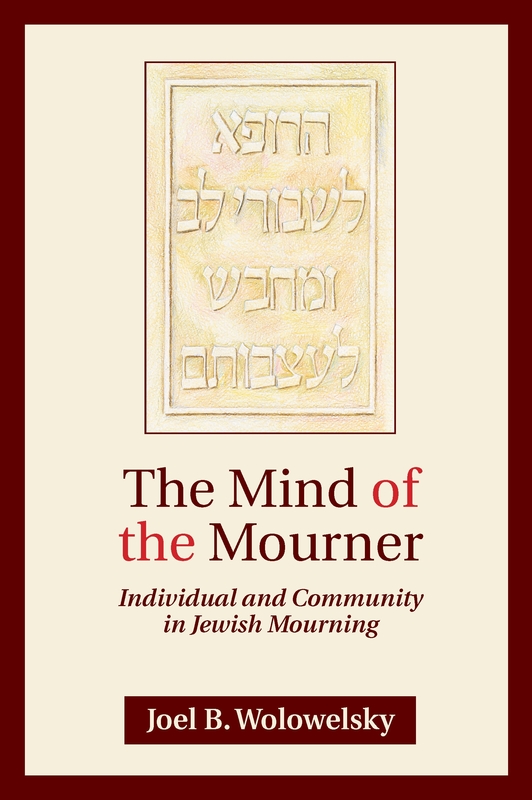 The Jewish response to death and mourning was one of his recurring concerns, and given his depth of psychological understanding and his eloquence of expression, it is hard to avoid drawing on his formulations in discussing the topic. Dr. Joel B. Wolowelsky is Dean of the Faculty at the Yeshivah of Flatbush, where he teaches math and Jewish Philosophy. He is a member of the Steering Committee of the Orthodox Forum and serves on a number of Professional Advisory Boards, including the Bar Ilan University Lookstein Center for Jewish Education in the Diaspora, the Boston Initiative for Excellence in Jewish Day Schools, the Pardes Educators Program in Jerusalem, and Atid: the Academy for Torah Initiatives and Directions. He is associate editor of Tradition, the journal of Orthodox Jewish thought published by the Rabbinical Council of America, and the series MeOtzar HoRav: Selected Writings of Rabbi Joseph B. Soloveitchik.